Melissa grew up in Blooming Prairie, Minnesota. She provides patients with 16 years of experience and started at Elrod, Green & Heimer in 2009. 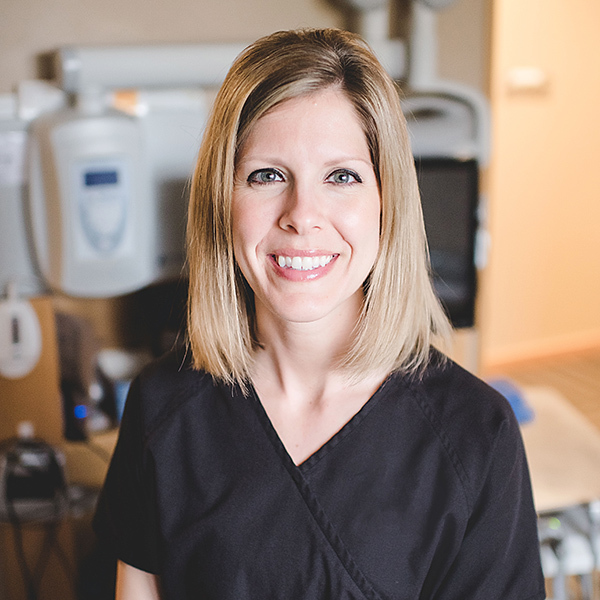 She assists the dentists with patient care and educates patients on dental health. She finds her job rewarding and enjoys seeing someone’s smile improve in health and visibility. She also finds satisfaction from helping patients feel better. Melissa assists with Giving Kids a Smile program and teaches children at local schools about dental health during dental health month. In her spare time she enjoys spending time with family and friends and loves the outdoors. She enjoys sports including volleyball, basketball, softball and running and attends her children’s sporting events on a regular basis.